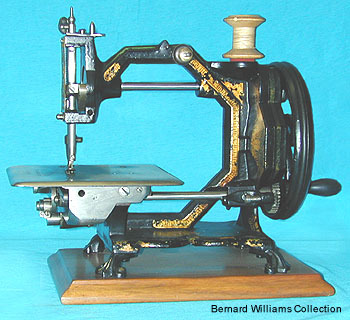 Antique sewing machine - The Collier. Marketed by Collier & Son, London, this octagonal form lockstitch, circa 1870s, was almost certainly produced by one of the well-known Birmingham manufacturers of the period - possibly the Royal Sewing Machine Co. The machine carries the "Swift and Sure" trademark.